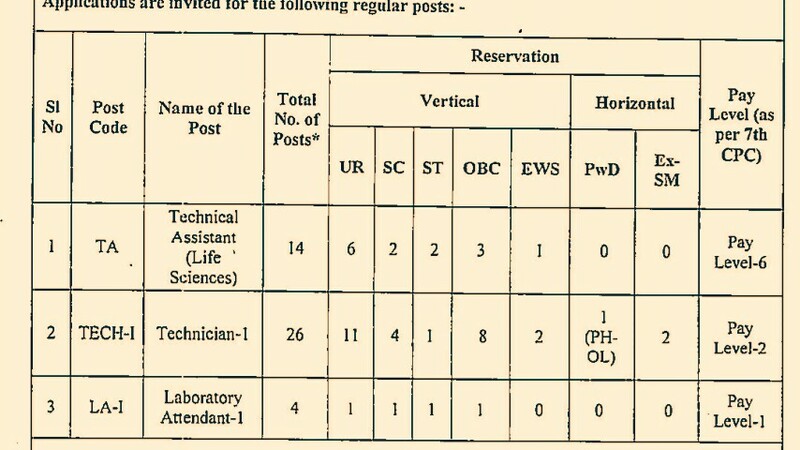 ICMR National Institute Of Malaria Research, Is Looking Forward For The Eligible People To The Post Of Technical Assistant (Life Science), Technician-1 And Laboratory Attendant-1. So Interested People Can Apply For This Job Through Offline Application Mode, Within The Given Time Period. Kindly Do Read Out The Official Advertisement For An Accurate Information And Instructions, It's Given Down Below. 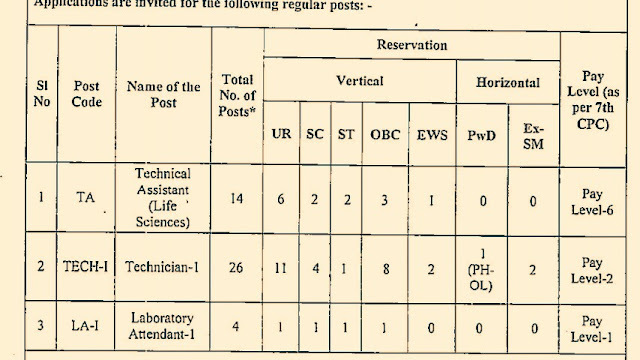 Technical Assistant (Life Science), Technician-1 And Laboratory Attendant-1 →44 Tentative Vacancies, Kindly Go Through The Image's Below For Vacancies Distribution, Name Of The Posts/Code, Age Limit, Scale Of Pay And More. B. 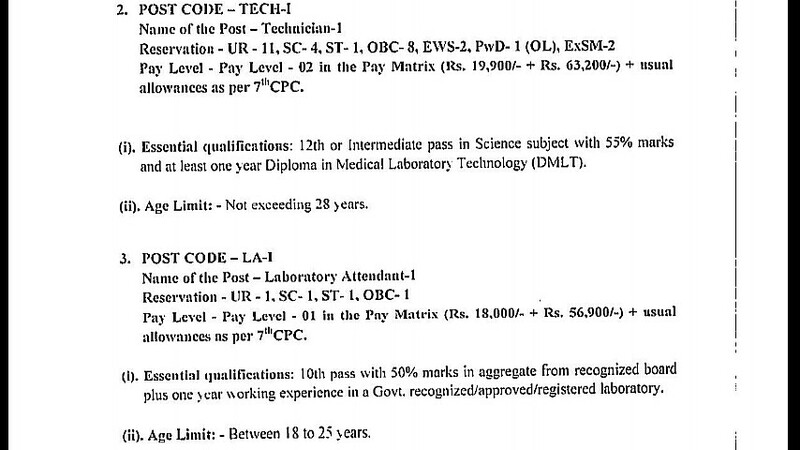 Eligible Criteria For ICMR- NIMR Recruitment 2019. Offline Application/Examination Fee →₹300 For Unreserved Candidates Through Demand Draft Payment Payable At New Delhi, In Favour Of" The Director, National Institute of Malaria Research" & There's No Fee For Other Reserved Candidates. How To Apply →Candidates Must Submit Their Offline Properly Filled Application Form To This Following Address & Time ~The Director, National Institute of Malaria Research, Sector-8, Dwarka, New Delhi, India - 110077" On Or Before 19th Of April, 2019. For More Info →The Official Website ICMR -NIMR. Now Apply For This Malaria Research Jobs 2019. Click Here To Download An Official Offline Application Form For NIMR Recruitment 2019.